NEVER share your personal information and password with anyone. 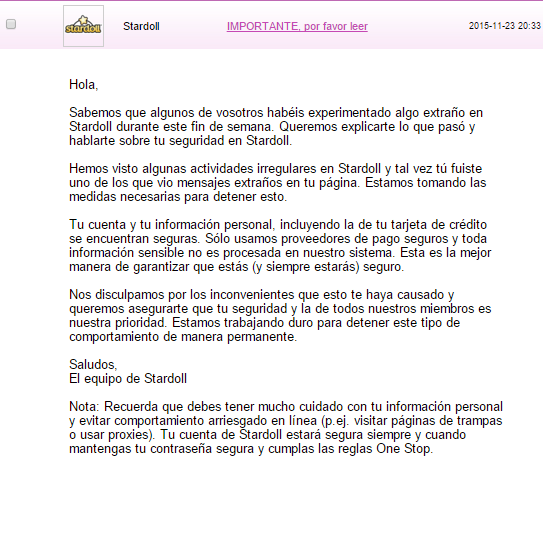 Always check the URL, it must be written "www.stardoll.com", if it is written something different, DO NOT LOG IN, it is a phishing site. 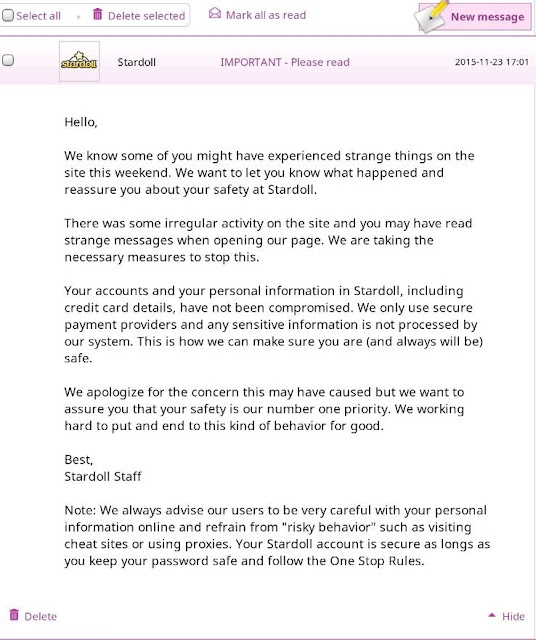 Don't believe in those promises of "free stardollars" or "free membership", they DO NOT WORK and will steal your login information and probably your account.